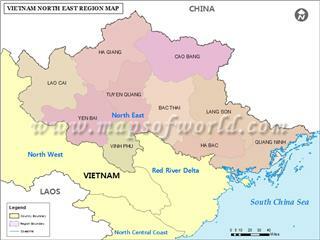 Vietnam geography has for a long time owned precious benefits nowhere else can be found. 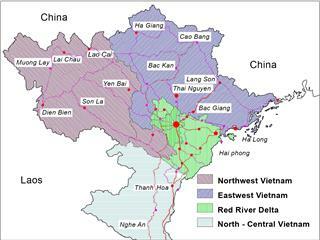 Vietnam, officially called The Socialist Republic of Vietnam is situated on the eastern part of Indochina Peninsula in Southeast Asia. 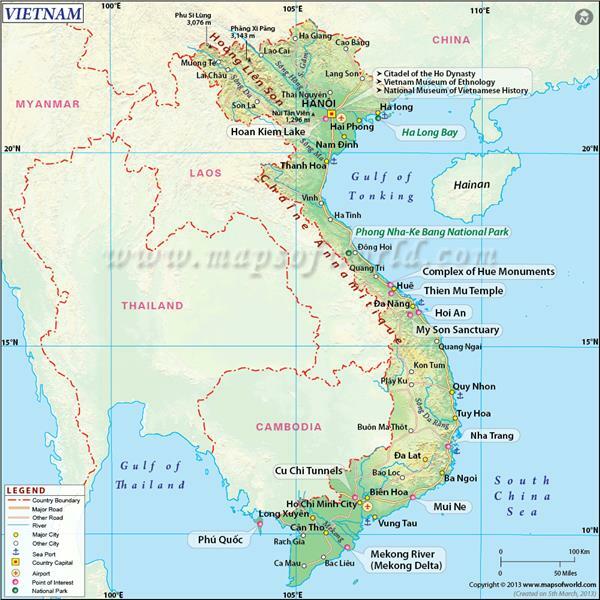 Whole Vietnam's territory runs along the eastern coast of the peninsula, in which the mainland extends from the longitude 102°8'E to 109°27'E and between the latitude 8°27'N and 23°23'N. 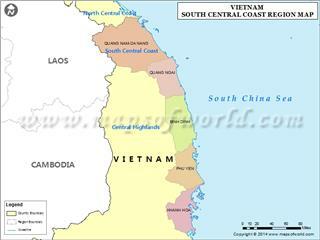 In addition, Vietnam also considers Paracel Islands and Spratly Islands as its territory. The S-shaped country has a north-to-south distance of 1,650 kilometers and is about 50 kilometers wide at the narrowest point. 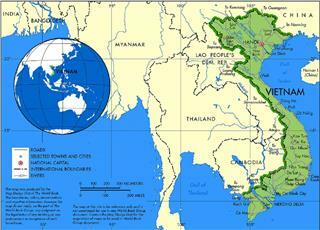 The country also has a land border with China (1,281 km), Laos (2,130 km), Cambodia (1,228 km) and a long coastline, adjacent to the Gulf of Tonkin, South China Sea and Gulf of Thailand. South China Sea is the world’s second busiest shipping (after Mediterranean), accounting for about a quarter of the ship traffic activities on global seas. It is also a lifeline shipping lane bringing the strategy to many countries and regions around the world, linking Pacific Ocean and Indian Ocean; Europe, Middle East and Asia and between Asian countries together. 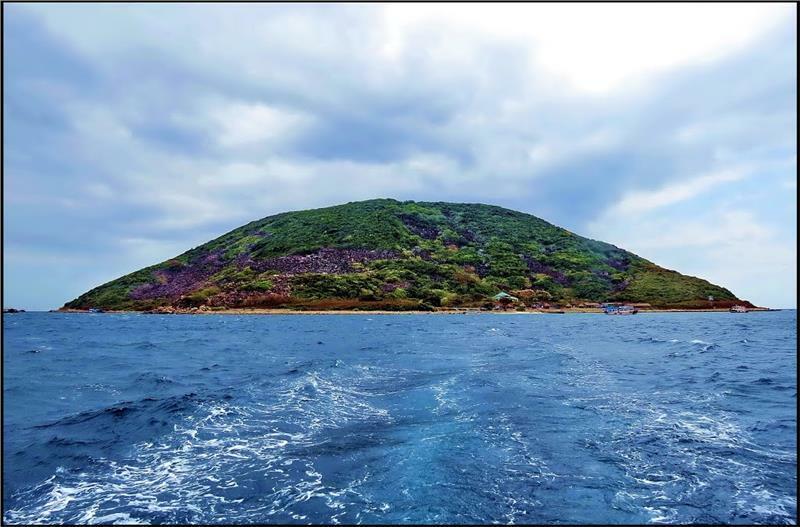 Along with the land, the sea in Vietnam is rich in natural resources, a rich fishing ground to feed millions of fishermen and their families through their generations, and is an economic region dynamically developing for decades. 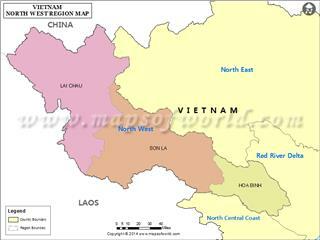 Vietnam owns a very important geographical location and a prime political economic geography. 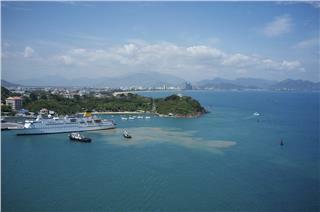 Vietnam coastline stretching over 3,260 km from north to south, ranking 27 out of 157 coastal countries, island nations and territories around the world. The index of the coastline and the land area of Vietnam is approximately 0.01 (i.e., 100sqkm of the land owning 1km of the coast), heading of Indochina, higher than in Thailand and approximately in Malaysia. In detail, in 63 provinces and cities of the country, there are 28 provinces and cities owning the sea and nearly half the population living in cities and provinces along the coast. 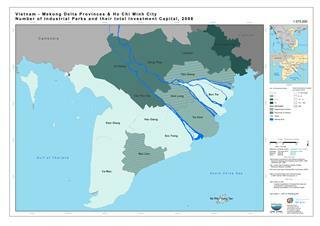 Additionally, a high number of coastal islands owning important positions are used as benchmarks for national sea baselines in order to establish Vietnam coastal mainland, determine the internal water, sea territory, the adjacent sea territory, economic privilege zones and continental shelf, and be as the legal basis to defend national sovereignty over the waters . 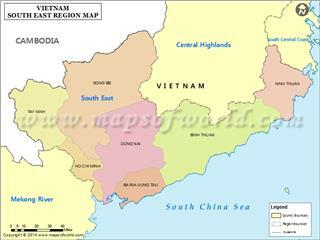 Vietnam has an area of ​​331,688 sqkm, including about 327,480 sqkm of the land and more than 4,200 sqkm of the sea. 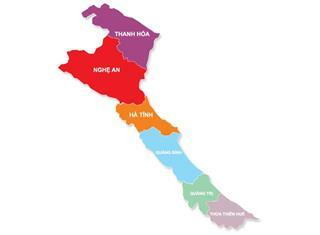 (However, in the view of the State and Vietnam citizen, the area of the sea in Vietnam extends millions of square kilometers, including the waters of islands in the dispute). 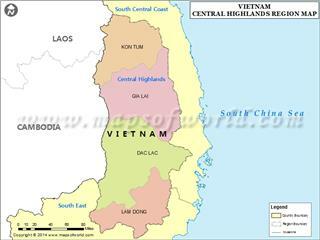 Vietnam terrain also owns a great number of hills and mountains filled by forests. 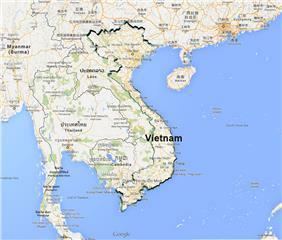 Vietnam topology is fairly diverse as well. 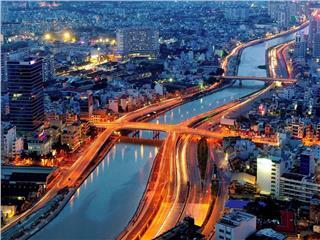 Stretching from the North to the South, Vietnam’s topography varies dramatically with 3/4 emerald-green mountainous area, fertile deltas and tropical rainforests. 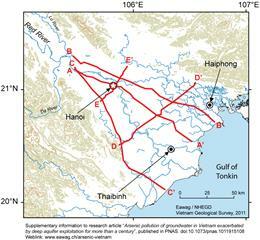 The North includes the plateau and Red River Delta; Central is the coastal lowland and highlands along Annamite Mountains; and the South is Mekong River Delta. 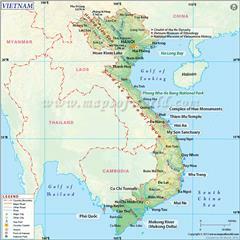 The highest point in Vietnam is 3,144 meters at the top of Fansipan, belonging Hoang Lien Son range. 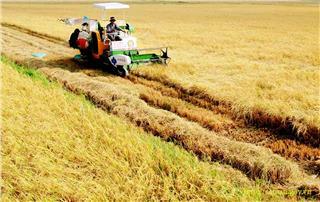 The area of ​​arable land accounts for 17% of the total land area in ​​Vietnam. Influencing from these unique terrain characteristics, Vietnam has a tropical climate in the south with two separate seasons (the rainy season is from mid - May to mid- September, and the dry season is from mid- October to mid- March) and monsoon climate in the north with four seasons (spring, summer, autumn and winter). 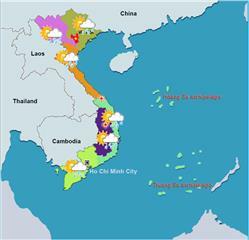 Located along the coast, the climate in Vietnam is regulated by the ocean currents and brings many maritime climate factors. Average relative humidity is 84% throughout the year. The annual rainfall is from 1,200 to 3,000 mm, and the annual temperature is from 5° C to 37° C. These features along with the prime location, Vietnam actually hides precious values needing to be thoroughly explored.